At one time many cinemas were not allowed to open on a Sunday and those which did had several restrictions placed upon them. 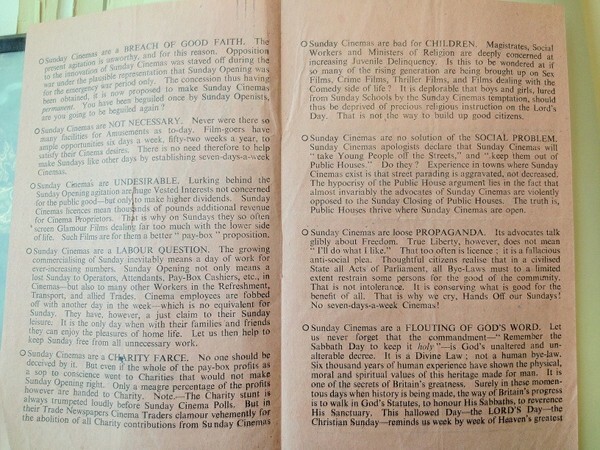 This was partly due to concerns raised by the church who were perhaps worried that people would go to the pictures rather than attend church and the concerns they raised on morality issues and the influence that films had on society. 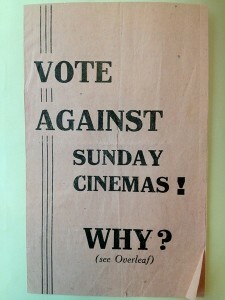 In 1932 The Sunday Entertainments Act regulated the use and opening times that cinemas were allowed to operate. 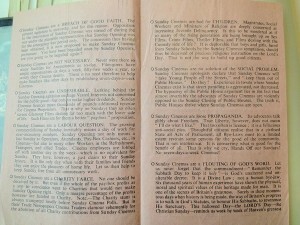 The act also set up a Sunday Cinematograph fund for ‘encouraging the use and development of the cinematograph as a means for entertainment and instruction’ This fund gave rise to the British Film Institute. 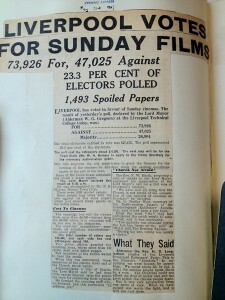 In 1947 a vote on Sunday Cinema was held in Liverpool and an astounding number of patrons turned out to use their vote and raise their opinions. 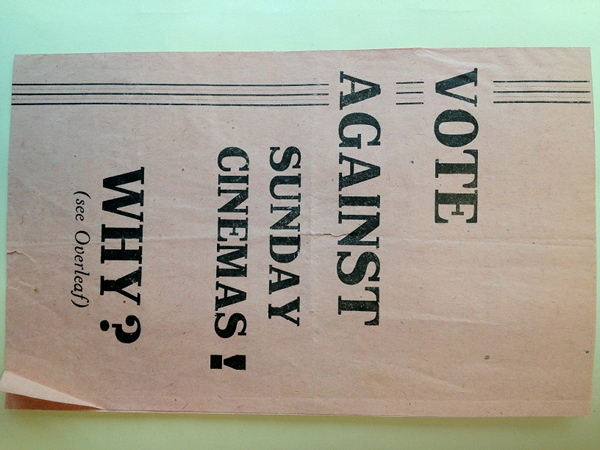 The images below show the inside of a leaflet which was distributed to show the reasons against Sunday Cinema. 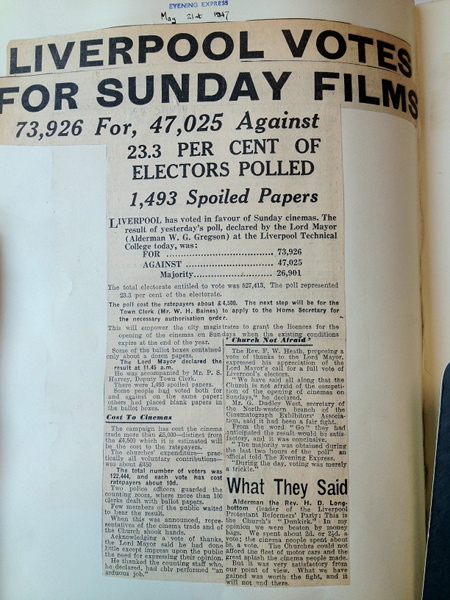 This article below was photographed at Liverpool Records Office, it shows the staggering number of people who turned out to vote on whether cinemas should be allowed to open on a Sunday.